Do you save to invest or to spend? A person who puts a portion of his paycheck in a 401k or an IRA is fundamentally a saver. He may think of himself as an investor but from the point of this discussion he is not. He objective is to withdraw the money many years from now and spend it. I will give you that at that point he may become an investor because his objective will change towards getting an income from his money, but until then he is a saver because he gets no income. An investor saves money to invest it and get an income stream. Readers may want to revisit Cash flow diagrams for the poor, the middle class, and the investor class. A good investor can obtain more risk-adjusted income from his savings than a poor investor. I eventually transformed myself into an investor and I am currently trying to become a better investor. (*) One might argue that with the introduction of easy credit a third approach was born – the approach of the spender, who spends money he is yet to earn. Early retirement can be achieved both as a saver and an investor, but the attitudes are different. A saver will save $10,000 which will allow him to take a months off from work. When the money is spent and he has to go back to work again. Thus this is not really a sustainable form of retirement. The traditional 401k/IRA plan is counting on the retiree passing away before needing to go back to work. To an investor $10,000 means $600 a year in income or $50 a month = a couple of nights of eating out a month for the rest of his life. On top of that comes the potential to exchange this stream of money with $10,000 in cash should the need arise. The saver does not have this option [because the money has just been spent]. Related: Check out akratic’s How I track my finances of Google Docs. 22 users responded in " Do you save to invest or to spend? " Totally agree. Another point is that to a great investor $10000 might mean $1000 or $2000 a year. We can also say a $600 a year ski pass cost an average investor $10000 but probably less for a great investor. I’ve often wondered about the 401k issue. 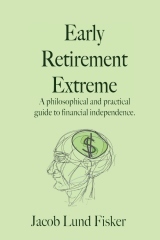 After reading YMOYL I was left wondering does it make more sense to put money into retirement vehicles (401k, Roth IRA) when you plan to retire at 40? I know the 401k makes sense when your employer matches but if you’ll want to get at the money long before the legal retirement age does it make more sense to just invest in mutual funds outside of retirement vehicles? I’m a 24 year old hoping to retire early. I’ve been taking the approach of hitting the tax-advantaged accounts first, since I thought, “I’m going to need money later in life anyway.” But I’ve had the mindset of the investor, where I hope to be able to live off the income generated from the assets, not by selling them off. I’m rambling a bit, but I was really just wondering if you or anyone had any opinions as to whether useing 401ks and roth iras is a good strategy for those of us hoping to retire early. I’ve always been a saver. I’ve repeated the cycle of saving up money and then going on a long hike or traveling many times. If I would have just been patient and been an investor I’d be free to hike or travel whenever I want now. Investing always is better, however things do come up that intercept your goals. I think when you are young, single with no kids you can easily follow the path of an investor. The only reason I can enjoy my interest now is because I started investing early before marriage and kids came into play. And of course, avoiding debt is always a plus. The problem is that so many people are tangled in debt that they cannot picture themselves investing. Summary: I save to both invest and speculate in order to draw income. That income is spent (in retirement or otherwise) for routine, emergency, big items, any expenses I have. Details: I’m not sure that savings and investment are mutually exclusive. I think investment is a subset of savings. Savings is a balance sheet operation where income net of expenses is moved out of the checking account and into the savings virtual account (which could consist of one or more numbered bank/brokerage accounts). Investment, in Grahamian terms, is nothing more than a set of thoroughly-analyzed financial operations that “promises safety of principal and a satisfactory return”. Savings can also be speculated, which is the set of financial operations that is not investment per Graham. Savings can also be shifted back to the checking (current) account for funding expenditures. This is realized income. Although the IRS recognizes it in my taxable accounts immediately (regardless of how I categorize or where I register it), I like to think of savings as deferred income. After the money is contributed, i.e. was in checking, now in my savings account, I think of it as 1) principal (or basis) and 2) return, interest (or gain). When the money is distributed, i.e. was in savings, now in my checking account, it is realized, it is income. I try only to take income that I need to cover expenses. I also try to make sure that I never distribute more than I have gained (over some arbitrary period) via returns/interest/dividends/etc. Andy, mattg: I’ve found that once serious about saving, the 401(k) and Roth IRA get maxed out *and* you also can save even more into your taxable accounts. When I pulled the plug on the W-2, I had a mix of about 65% taxable / 35% tax-advantaged. I think your distinction between saving and investing is incorrect. There is nothing in the definition either implicit or explicit that savings requires future spending. If I run a positive balance sheet during my lifetime and place the free cash into a brokerage account who is to say if that money is “saved” vs “invested”? It is a silly distinction. Do I ever have to touch my principle just because I put it into a 401(k) or even into a plain jane bank acount? Nope. On the other hand if I “invest” in some income generating pursuit what says I can’t flip it (just the same as a stock) to spend the windfall? What you seem to be after is the difference between passive and active asset accumulation. If you are a saver you build up assets (deposit account, brokerage, 401(k), etc) and if you are an investor you seek income generating capital allocations (bonds, rental real estate, business ventures, etc). It’s great if you have $10k per year in passive income and I have $250,000 in my savings account. But it doesn’t matter which because they are identical. The stock market has been proven to safely support long term withdraws of 4% (don’t be cocky)! Active pursuits may be able to create a reliable income of more than 4% per year but they also require work. PS. In the end, whichever way you create your wealth it is ALWAYS for the purpose of SPENDING it. If you don’t spend it someone else (children, long lost relative, charity, Uncle Sam, etc) will spend it when you are dead. You can take the principle amount out of a Roth IRA with no penalty. You also can use non-deductible IRAs as well. Finally if you retire before 59 1/2 you can use a rule 72(t) to set up a series of equally sized, periodic withdraws from your 401(k) penalty free. You must take the same amount every year until you turn 59 1/2 and you must not be working for a W-2 wage, BUT in this situation there are no penalties (just regular income tax) on the withdrawals. There are methods to get your money so absolutely take full advantage of the 401(k) and IRAs during your working years. Adfecto, don’t kid yourself about the “proven safety” of 4% withdrawals from stock investments over the long haul. Just because a calculator says so (or graph of data shows it) does not make it so. The phenomena that inhabit the stock market are not as predictable going forward as they were in hindsight. I aim for no more than 3% withdrawal, and even then admit to myself that the risk of outliving my funds is higher than any calculator or data series tells me at that rate. I do agree (roughly) with your saving, spending, and investment definitions. @Andy, I faced the same problem you described. I was putting enough into my 401(k) to take advantage of the employer match. Even beyond the employer match, the idea of it “costing” me only $65 (net after taxes) to have $100 working for me and growing tax-free was very appealing. However, I also needed to build up a lot of savings in my taxable accounts to generate dividend income for my ER at 45 I started 2 years ago. To do that, I was able to change the ratio from 65%/35% in favor of the 401(k) to 35%/65% the other way, the ratio Steve Austin happened to mention. [This was made possible by cashing out the company stock I held in my employer’s 401(k)/savings account when I retired.] But this was only because the percent in the taxable accounts would be able to generate enough dividends to cover my expenses with a surplus. This did not make the 401(k) which I rolled into an IRA useless. I consider it one of several “reinforcements” (SS and pension are the others) which will prop up my income starting when I turn 60 in 13 years. I don’t need those funds now so I can let them grow tax-free until I need them, giving me the best of both worlds. Finding the optimal balance between what you know you will need prior to age 60 versus what you can put away and grow tax-free until you hit age 60 is not easy to determine and will vary from person to person. One more point, Jacob. You should have listed another choice besides spending and investing – paying down debt. In the 1980s, I saved to buy my first car, then to pay off my student loans, then to buy my apartment. In the 1990s, I saved to pay off my mortgage although I was investing more of my income first. Only when the interest rate on my ARM rose and my ability to deduct the mortgage interest fell did I reach that tipping point which told me to pay off the loan. 401K/Roth IRA are long term investments. Therefore one has to save first before investing. A standalone saver puts money in a liquid account. Although with 401K/Roth IRA, you are earning money but aren’t withdrawing it. It’s all for spending. The difference is in whether the amount you are withdrawing to spend is sustainable. It’s like the difference between building furniture from trees pruned from the forest and building doing a clear-cut. For Roth IRAs, at least, there is also a rule where you can take substantially equal periodic payments (or some such language) that can include both the deposits and the gains. And other things can be rolled over into IRAs. My wife and I use to save so that we had enough for our emergency funds, etc. Now we have changed our goals to save money that can be used to make money by investing in CD’s and dividend paying stocks. We aren’t spenders, which is how we are looking at living our dream in the country within a couple of yrs. If the principal of a Roth IRA can be withdrawn at anytime without penalty, it could be a pretty good emergency fund right? I don’t have one yet, so I don’t know how quickly you can get at the money, but it seems a lot better than letting your money sit in a savings account at 1% or less. Pathguy, a good place to put your emergency fund money is an intermediate-term muni bond fund. I have been in those for 21 years. You do need to be able to tolerate some (but not a lot of) risk to principal, but in return you can get 3%-4% annual tax-free interest return while maintaining liquidity if you need to tap into the money. If you want lower risk to principal you can go for a short-term muni bond fund which won’t give you as much of a return but will preserve the principal better. I hate putting any significant amount of money into an account which generates next to nothing in interest. I have just a little more than required in my local bank’s checking account (zero interest) to avoid monthly fees and to provide me with free day-to-day banking services such as online banking and ATM usage. I think 401ks and IRAs have their purposes. If you are consistently saving money at a high rate, you are probably financially secure enough to save/invest in both, and also save enough to fund a substantial taxable brokerage account. In any IRA you have the ability to choose all types of great investment vehicles, which isnt as true in a 401k. So the 401k is more of a savings vehicle, the IRA more investment attuned, as is the taxable account, of course. My emergency fund IS my taxable account, since it is the easiest to tap into if needed, but of course I run a balance in my checking that would cover most of my bills for a few months. So, I would have to say that we are all both savers and investors, which is a good place to be when compared to most Americans today.